On Sale Now! Free Shipping Included! Save 7% on the WOLF 305295 Blake Shoe Shine Kit by WOLF at Social Seeker. MPN: 305295. Hurry! Limited time offer. Offer valid only while supplies last. 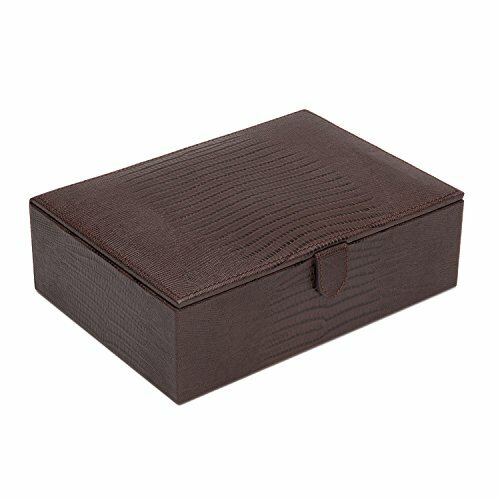 The Blake shoe shine kit, in brown teju lizard embossed leather, incorporates a classic gentleman's office or bedroom necessity with a bit of flair. The Blake shoe shine kit, in brown teju lizard embossed leather, incorporates a classic gentleman's office or bedroom necessity with a bit of flair. Includes 2 Polish applicator brushes, 2 shoe shine brushes, 2 cotton flannel polishing cloths, Mr. Wolf's shoe shine in black and brown, brown Ultra suede lining and snap closure.